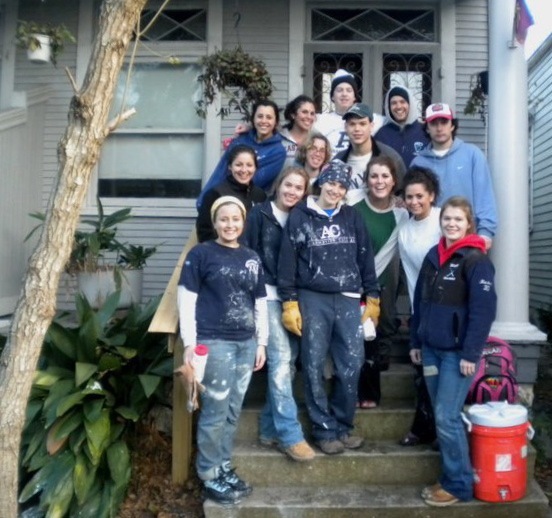 Even six-plus years after Hurricane Katrina left an official death toll of 1,464 people in Louisiana – with other estimates ranging as high as 4,000 – a mission trip to New Orleans was bound to make a powerful impression on Assumption College students who went there to do community service. But for Katrina Mitchell, the expedition’s student leader, the January visit was just the latest chapter in a relationship that began in 2006, less than a year after the hurricane hit New Orleans on Aug. 29, 2005. 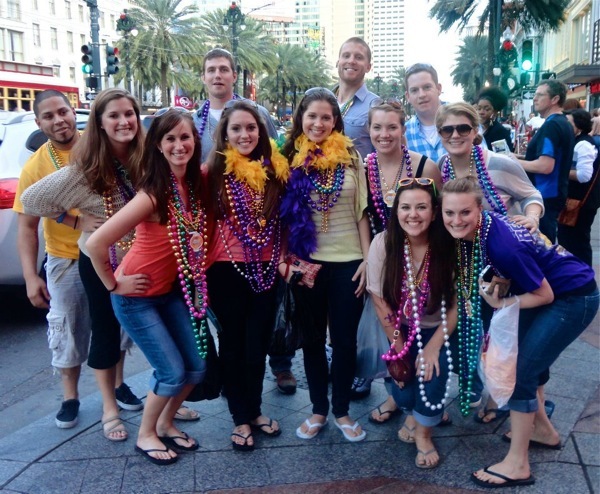 Katrina did her first mission trip to the Big Easy as a high school sophomore, thanks to a project sponsored by her church, Seekonk Congregational in Seekonk, Mass. “We were assigned to restore a donated building for volunteers to stay at while doing community service in New Orleans,” she wrote me. These intense but short service encounters have their limitations. A critically intelligent writer whom I’ve been fortunate enough to teach in the English/Sociology course “Literature of Social Responsibility”, Mitchell certainly knows that neighborhood walks, in and of themselves, aren’t enough to dramatically change crime rates, just as she probably also knows that there are larger structural problems that can only be addressed on the governmental level. But now that I’ve seen firsthand the college groups who impact my hometown of Tuscaloosa, I see that each of those trips brings fresh energy and young bodies to the long, slow grind of recovery – as well as reminding the locals that people elsewhere haven’t forgotten. The work this time involved two structures. 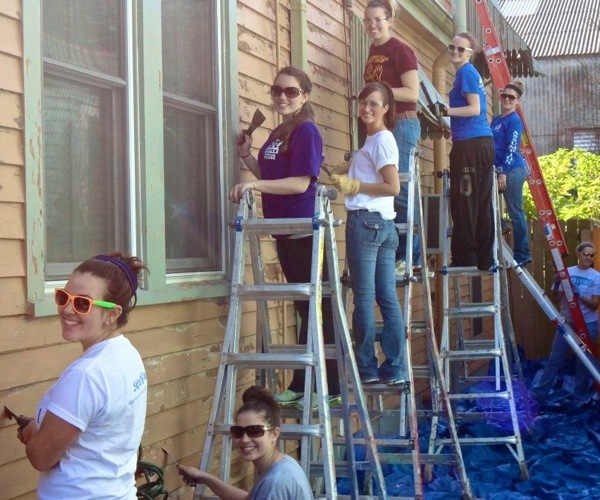 They did a lot of scraping, priming, and painting on the home of an elderly woman who had just lost her husband. 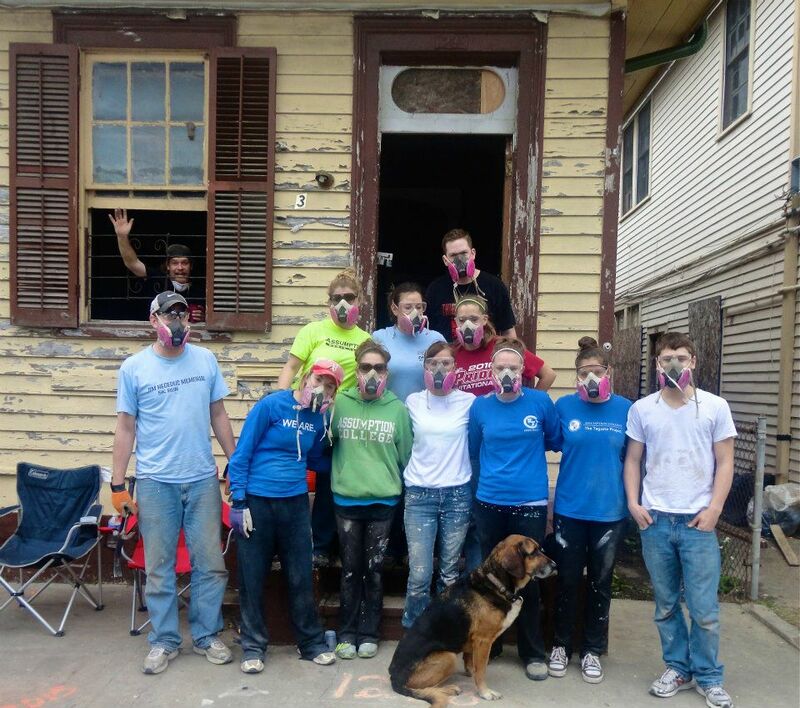 Then, in an abandoned flood-damaged structure, the group tore away walls and floors and stripped away old paint. 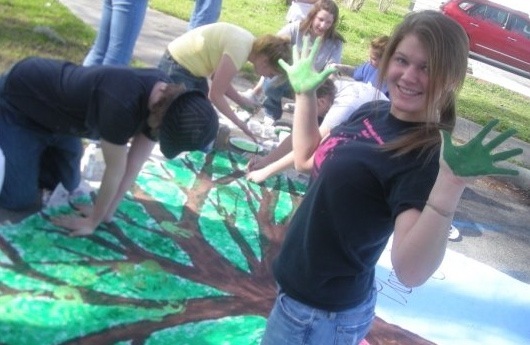 The group even helped remove Christmas decorations from a park after a community celebration. When it comes to the educational component of mission, Katrina’s work in New Orleans has dealt with concerns ranging from housing and crime to ecology and children – and more. Meanwhile, what strikes her most, seemingly, is what she’s learned about the city of New Orleans. Her experience underscores the value of leaving one’s home region. “As a person who has always lived in the Northeast, nothing is more refreshing than the true Southern hospitality that remains consistent between each and every individual that you run into from the area, whether it’s in the streets, on a trolley, at the French Quarter, or wondering along Bourbon Street.